*AIM: To investigate the hepatoprotective effect of MK615, a Japanese apricot extract, in an animal model, and its clinical therapeutic effect. *METHODS: Wistar rats were administered physiological saline (4 mL/kg) or MK615 solution (4 mL/kg) for 7 d. On the sixth d, acute hepatic injury was induced by administering a single intraperitoneal injection (ip) of D-galactosamine hydrochloride (D-GalN) (600 mg/kg). Plasma levels of alanine aminotransferase (ALT) and aspartate aminotransferase (AST) were determined, and liver tissues were used for histopathological analysis. Fifty-eight patients with liver disorders [hepatitis C (n = 40), non-alcoholic fatty liver disease (n = 15), and autoimmune liver disease (n = 3)] were orally administered commercially available Misatol ME-containing MK615 (13 g/d) daily for 12 wk. Blood and urine were sampled immediately before and 6 wk, 12 wk, and 16 wk after the start of intake to measure various biochemical parameters. The percentage change in ALT and AST levels after 12 wk from the pre-intake baseline served as a primary endpoint. *Japanese apricot (Prunus mume Sieb. et Zucc. ), hereinafter referred to as ume, was brought to Japan from China around the eighth century. *MK615, an extract from Japanese apricot, contains triterpenoids such as ursolic acid (UA), oleanolic acid (OA)[2-4], lupeol[2,4], α-amyrin, and β-sitosterol. *Preparation of MK615 solution: MK615 solution was prepared from a condensed extract of ume. In brief, ume were squeezed using a press, and the ume juice was then heated and concentrated 20-fold. The condensed extract was neutralized using NaOH and was then heat-sterilized. The MK615 solution contained the neutral, condensed ume extract. This is the first study demonstrating that Misatol ME (a beverage containing MK615, an ume extract) lowers blood transaminase levels in patients with liver disorders such as chronic hepatitis C and NAFLD. *Because Misatol ME is a functional food, conducting the same controlled study to investigate its potential as a medicine was difficult. 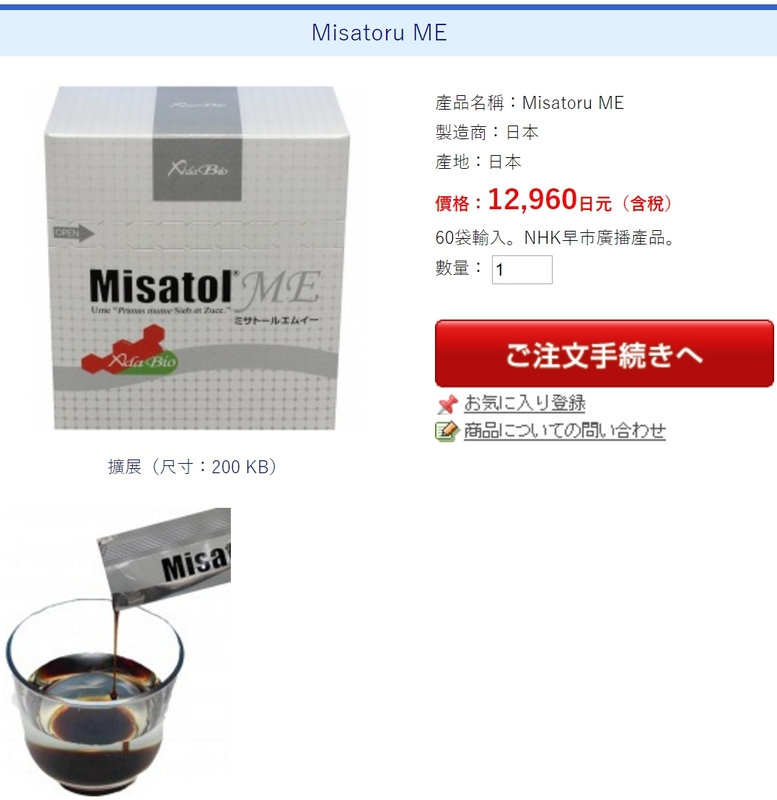 Nevertheless, the usefulness of Misatol ME as a functional food was clarified. *The mechanism underlying the hepatoprotective activity of Misatol ME in patients with chronic hepatitis C appears to involve the anti-inflammatory and antioxidative actions of the MK615 component of Misatol ME. The strongest point of this study should be the histological comparison of the rat livers with galactosamine-induced injury pretreated with MK615 and those not pretreated with MK615. The result is interesting and suggest that MK615 are promising hepatoprotective agents for patients with liver disorders.